Tom is a Partner in a private equity firm, Energy Capital Partners (ECP), headquartered in Short Hills, NJ. ECP invests in energy infrastructure assets, and has $6 billion under management. He was previously a Managing Director at Goldman Sachs where he worked for almost 20 years in the Energy and Power group in NYC. Tom co-founded New Canaan Society (NCS) Bergen County chapter northern NJ in 2005 and served as its President until 2011. BCS has grown from six guys in Tom’s family room, to a roster of over a 500 and average attendance of approximately 150. Tom is a graduate of Wheaton College (Wheaton, IL) with a BA, Economics and holds an MBA from the University of Chicago. 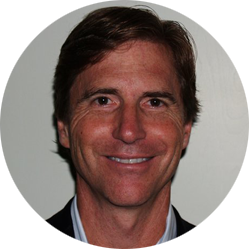 Tom serves on the board of Cardinal Gas Storage headquartered in Houston, TX and Summit Midstream headquartered in Atlanta, GA. He also serves on several non-profit boards including Street2Street, Jericho Road and the New Canaan Society. Tom and his wife Kathleen have four children, three of whom are married, and reside in Morristown, NJ and Palm Beach Gardens, FL. To contact Tom, email tlane@ecpartners.com or call (917) 363-1324.